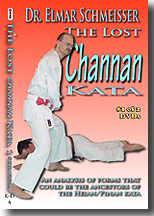 Instruction begins with simple stances and blocks that hold subtleties often lost upon the casual observer. 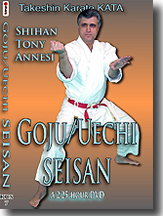 In essence these basic movements are the key building blocks for more advanced techniques, developed by the traditional kata and applied in various engagement drills. 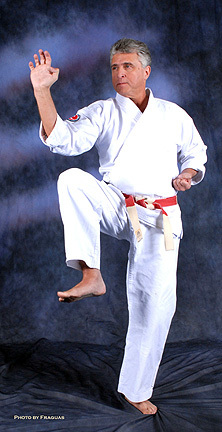 Each rank from hachikyu (eighth grade) to ikkyu (first grade) requires the traditional "K's" of karate-do: keri (kicks), kata (forms) and kumite (engagement matches). 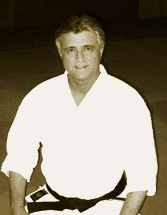 Basic KATA (forms) as shown below for Takeshin Karate: Heian Shodan, Nidan, Sandan, Yondan, Godan (Peaceful Mind 1-5); Kanku-dai (Viewing the Sky, principle variation); Bassai-dai (Breaking through a Fortress, principle variation); and Tekki shodan, nidan, sandan (Iron Horse 1-3). 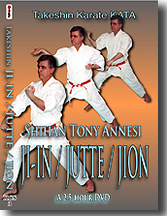 KUMITE (engagement drills) for Takeshin Karate: jodan ippon kumite (upper-level one-step sparring); sandan ippon kumite (3-level one-step sparring); jiyu ippon kumite (free attack one-step sparring); jiyu kumite (free sparring). 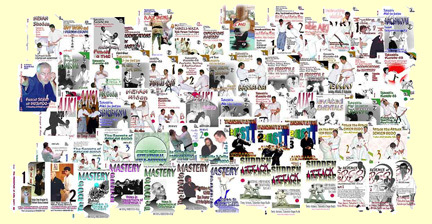 At higher black belt levels additional specific kicking and sparring skills are required as well as a choice of at lest 5 additional traditional forms, as are illustrated in the Kata videos below. 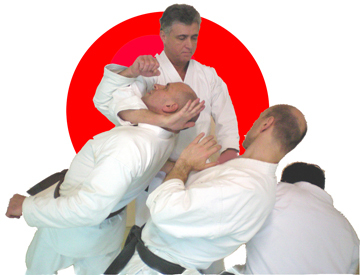 Our required forms begin with typical Japanese kata, reminiscent of Shotokan. 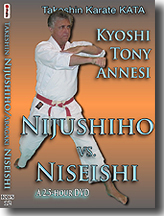 In upper black belt levels, however, one may add forms from Shito-ryu, Goju-ryu, Uechi-ryu and Kamishin-ryu. 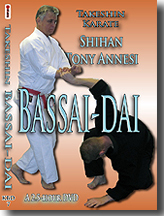 Each student is required to understand how to analyze their forms and how to apply variations of each movement or each form. 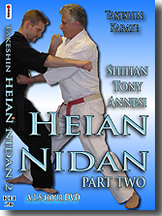 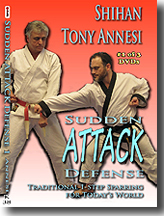 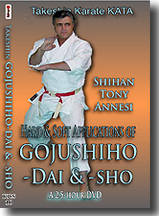 To receive a 20% discount on selected Karate videos, take a DVD Self-study Course. 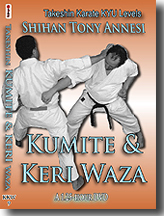 Karate Kumite is the application of kata: Karate Engagements DVDS. 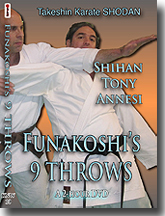 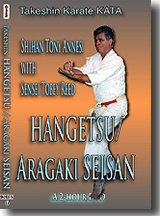 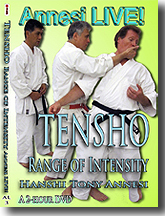 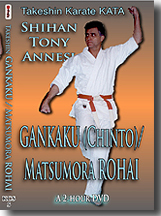 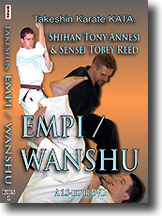 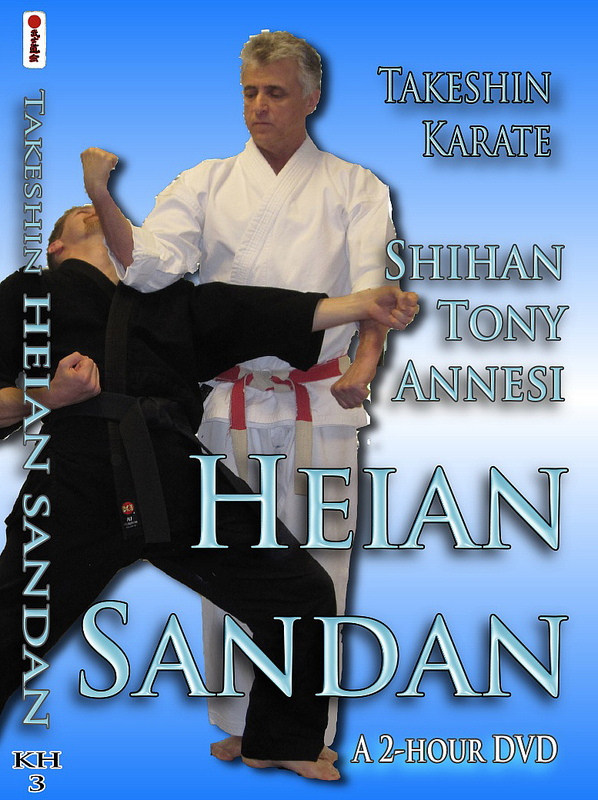 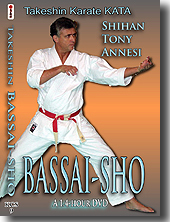 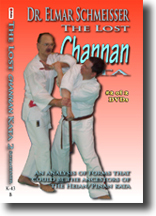 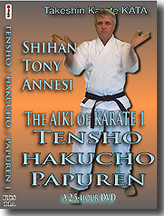 Karate Books, E-Books and Takeshin Karate Manuals on PDF. 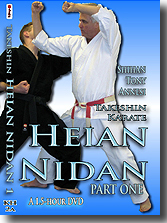 All 8 kyu levels of Takeshin Karate Kata, Heian Shodan through Tekki Sandan (10 kata)—Lower kyu, Upper kyu, Keri-, Kumite-, and Nage-waza.